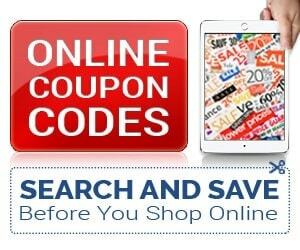 Since I haven't been using coupons like I used to, I wanted to share a few tips that you can save money WITHOUT using coupons. Yes, I went there! Don't get me wrong, I still use coupons. Whenever I do a big trip outside of a normal purchase of produce and milk for the week, I use 'em. I big puffy heart 'em! But when you have a decent sized stockpile, I don't need to shop near as much outside of the normal perishable items. That's the whole point of being a smarter shopper. 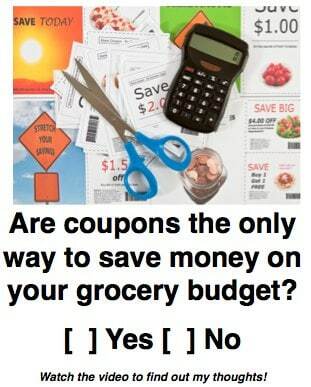 How else do you save money on groceries without using coupons? Leave a comment here and let us know! I say no! I was in the habit of couponing for a long time, but then I got busy with other things. Since I work full time and I’m a full time mommy and wife, I don’t have a lot of extra time. I realized we were spending a LOT more money on food than we used to and using little to no coupons. So I tried shopping at Aldi one week, and I’ve been shopping there ever since. We spend about 40% less than what we would have spent at Kroger, and I don’t have to spend any time planning ahead, trying to find coupons, buying newspapers, etc. I used to turn my nose up at Aldi because people told me that their food was garbage. But it’s just as good as Kroger food. Many of their items taste even better than Kroger’s! I hate buying things without coupons. It really upsets me to pay full price for anything. I buy a lot of my produce in the farmers market at the end of day and can talk them down or they put things on sale so they don’t have to take it home with them. I do buy store brand if I don’t have a coupon and I stock up meat when it is on sale or clearance. I don’t shop much at Walmart as they are to expensive. I stock up on sales, make my own cleaning supplies (unless they are free with coupons) I wish we had an aldi but I do shop there when I am out of state at friends houses. They have so much german food (they are a german company) that I love. My mother gets a kick that we both shop at Aldi (her in Germany). I love your website and don’t shop Kroger without you. thanks for helping me be able to take care of my granddaughter and two disabled brothers on one income. I couldn’t do it without you. Hello! I do a lot of couponing, but most of the time it is for items to build a stockpile. (soap, paper towels, toilet tissue, etc.) I buy store brands for most things and watch for sales on items we either use a lot of or are expensive. I make my own cleaning products (laundry detergent, fabric softener, all purpose cleaner, “ajax”, baby wipes, hand sanitzng wipes, bleach wipes, glass cleaning wipes….the list goes on…). We do not have Aldi where I live but we do have Sav-A-Lot…are they comparable? I have heard that Save-A-Lot has great prices but a small selection. I will have to make a trip there and see for myself. Thanks for the money saving tips. 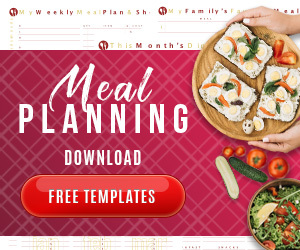 I’m always on the look out for ways to save and happy to share the ideas I have! I use to use coupons and buy things on sale with the coupon. Now if something is on sale I will buy a lot of that one thing, eg. paper towel, t paper, laundry soap. I usually get enough to last a year. I find this works pretty well with buying groceries. Don’t forget to rotate what you buy. I find that the coupons aren’t as good as what they use to be so I really don’t see any savings seeing that the coupons are for name brand and certain sizes.